Live from the Frigid Festival, it’s Rotten Apple! 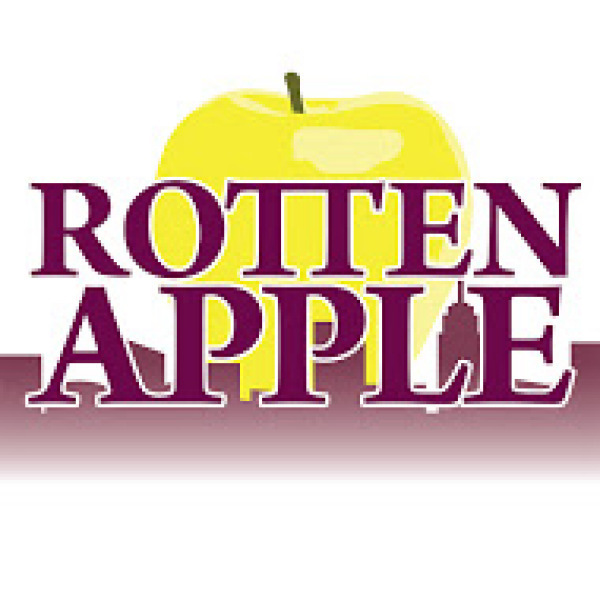 With New York inspired sketch comedy, Rotten Apple brings a basket full of juicy fruits mixed with a couple with some worms crawling out. Written and directed by Amanda Nicastro and Matthew K. Sears, Rotten Apple is a sketch tribute to the city that never sleeps. Thematically, it’s greatly appreciated that there was a common theme that played fully from start to finish. There is so much comedic depth for a series of New York City skits that it was a smart choice for Nicastro and Sears to keep a common thread. But with so much potential material and opportunities to pull from, missed opportunities were abundant. No matter what, Rotten Apple offered some laugh out loud moments. Between a pigeon lady looking for love and the bros of 2 Bros Pizza, Rotten Apple brought out some iconic NYC staples. Other sketches were a bit broader, commenting on themes including New York housing. The evening also offered a recurring sketch that magically appeared three times. This was a comical spin on the hit HGTV home renovation and hunting combo show “Love It Or List It”. For those fans of the show, it was a smart parody. That is until Amanda Nicastro opened her mouth as Hilary Farr. Parodies need to replicate and mock the source material and there is nothing more iconic to designer Hilary than her accent. The fact that Nicastro missed this opportunity, instead performing sans accent, may have ruined the entire bit. For the “Love It Or List It” fans at least. To emulate sketch hits like “Saturday Night Live”, Rotten Apple brought in help from a musical act in the form of Martha Cipolla. Cipolla offered two New York inspired songs, the first being a jaw dropper. Her songs didn’t necessarily gain laughter for comedy but rather from pure feeling of discomfort. In addition to Sears and Nicastro, Rotten Apple featured the comedy stylings of Monique Moses and Adrian Sexton. Moses was the star the night. Moses easily transformed into her various characters offering an array of energy and enthusiasm. Her strongest character was her cable company phone operator. She elevated what could have been a weak sketch to something notable. Sexton happened to flourish in the same sketch playing the Devil. Their chemistry is insurmountable. While the pigeon lady sketch ended up being sad, the character Nicastro crafted had potential to be a recurring character. There was much promise in this character. For Sears, being the sole male presence forced him into the straight man role. That being said, when he was solo as Nathaniel Peppercorn, a new side of Sears was showcased. And it was great. Rotten Apple earns great respect for their thematically fluid evening of comedy. But some of the material needed some more workshopping before putting it in front of an audience.